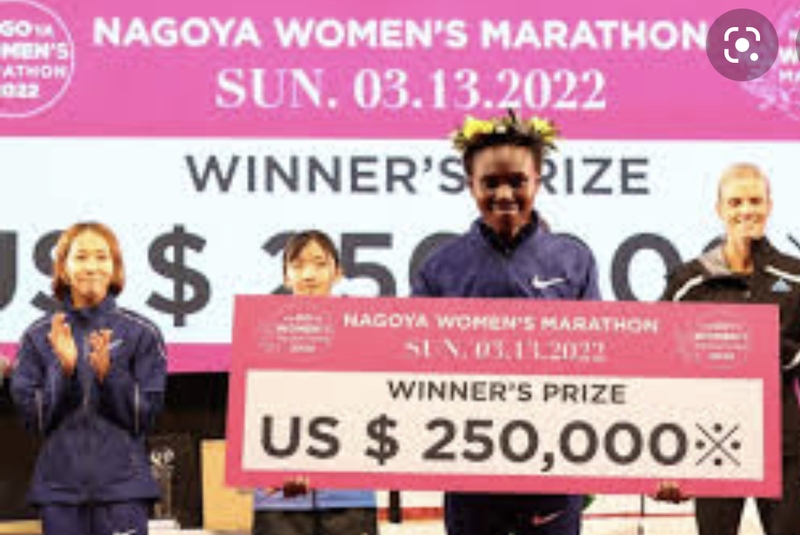 The Nagoya Women's Marathon named Nagoya International Women's Marathon until the 2010 race, is an annual marathon race for female runners over the classic distance of 42 km and 195 metres, held in Nagoya, Japan in early March every year. It holds IAAF Gold Label road race status. It began in 1980 as an annual 20-kilometre road race held in Toyohashi, Aichi, Japan. After its first two years there, the venue changed to Nagoya for the third edition in 1982. It was converted to a marathon race for the 1984 edition, and a 10-kilometre race was also added to the race programme. The race acts as the Japanese women's marathon championships on three-year rotational basis. Performances at the race are typically taken into consideration when deciding the Japanese women's Olympic or World Championship teams. Nagoya has also twice hosted the women's Asian Marathon Championship race (1988 and 1994). The 2011 race was cancelled due to the T? hoku earthquake that March. 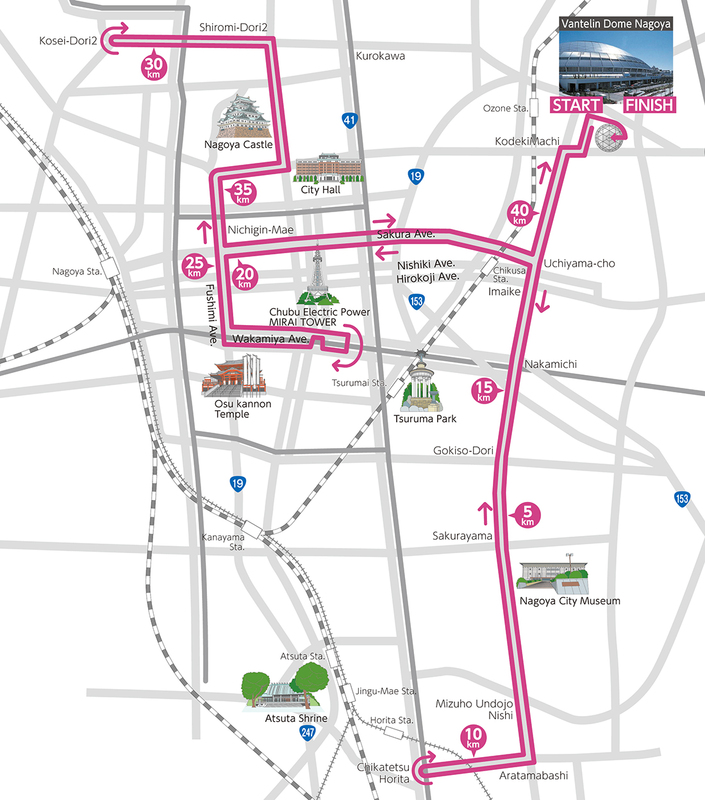 In 2012 the race was held on a newly designed course and was opened to public, mass participation for the first time, and renamed the Nagoya Women's Marathon. Around 15,000 runners took part that year. Nagoya Women’s Marathon is well known for …Tiffany’s Necklace!. Finishing gate is not the final goal of Nagoya Women’s Marathon. After runner passes through the clock gate, there waits another goal gate colored in Tiffany blue. One by one, men in tuxedo hands out Tiffany’s blue box at the gate, big climax assures your smile. The International Association of Athletics Federations (IAAF) rates road races in the world and awards a designation of which the highest is Gold Label. The Nagoya Women's Marathon has been held as an IAAF Gold Label race since 2013. Other major races that hold the same Label are such as the New York City Marathon, the Boston Marathon, the Chicago Marathon (the US), the London Marathon (the UK), the Berlin Marathon (Germany) and the Tokyo Marathon (Japan). With 13,114 participants, the first Nagoya Women’s Marathon in 2012 was recognized as the largest women’s marathon in the world by Guinness World Records. In 2018, the marathon again improved its own record to 21,915 women participants!